Blogging is one of the popular ways you can share your thoughts and make your opinions known to others. But the question, how to start a blog will be answered in this article. Learn how to do it from someone who knows. If you rush in, the probability of rushing out is extremely high. And you may end up giving up. 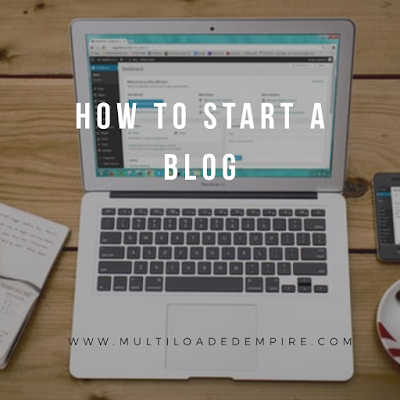 If you just asked the question how to start a blog in 2019, it may be because you have a business you want to give an online presence, a passion you want to make known to the world or you just want an online file manager where you can save your daily activities and matters of your mind. Before I move into how to start a blog, lets take a look at the differences between the two most popular platforms, WordPress and Blogspot briefly. This will help you to decide which platforms you want to create your blog on. There are some Content Management System platforms where one can create websites or blog. WordPress, Blogspot/Blogger, tumblr and others are the popular platforms. With WordPress and blogspot being the most popular. There won’t be any form of bias as I have operated on the two over the course of the years and am currently having this blog on Blogspot. This distinction is based on the use of self-hosted WordPress blog and Blogspot. Blogger/blogspot is owned and managed by Google. And any violation of google policies may end in account termination, but its rare. According to shoutmeloud, blogger/blogspot is useful when you just want to start a blog to share your thoughts. But if you are blogging for business, building authority,, money or branding yourself, WordPress is the ideal choice. Blogspot has limited features. Whereas, WordPress gives you the complete control over your blog and you can do anything you want with it. According to WPbeginner, a company that solely blog on WordPress, see the differences. Ownership: Blogger is provided by google as I have said earlier. It is free and however, it is not owned by you. With WordPress, you own your blog and only you decide when you want to shut it down. Control: Blogspot has limited control while in WordPress, you can easily extend it to add new features with plugins. Blog Transfer: Moving content from blogspot to other platform is sometimes complicated. There is risk of losing your SEO (Search Engine Optimization) and subscribers. With WordPress, you can move anywhere you want. So also, moving from WordPress to Blogspot is easy. Check my article on how to move from WordPress to Blogspot here. Security: In blogspot, google takes care of your security for you but in WordPress, you will have to take care of that yourself via plugins. Learn more on WPbeginner. With my personal experience, in blogspot, to make major changes to your template that requires adding or deleting a set of codes, you will need a desktop/PC and even in some templates, you can not edit your blog layout on mobile devices. With WordPress, you can use either desktop or mobile devices, whichever one suits you. When it comes to ecommerce features, blogspot is still lacking some features. As at now you can sell on your Blogspot blog. Thinking your blog will rank well on search engine because it is on bloggers is a myth. It doesn’t matter whether you are on WordPress, blogger, tumblr or wix, it all depends on your settings and expertise. The major difference between wordpress.com and blogger is that, you can monetize your blog with free blogger account, which is the major reason some rush to blogger. And finally, one of the painful differences is that, once you delete a post on blogspot, you can never restore it. At least not when I spent 6 hours on google searching how to do it. But on WordPress, whether free or self hosted, you have the chance of reviewing the posts you delete to either restore or delete permanently. To start or create a blog for yourself, follow the basic steps below. Get your preferred CMS (Content Management System either WordPress or Blogspot) you want to use. There are numerous platforms you can start a blog but I recommend WordPress and Blogspot for you. The two offer free domain as in yourblogname.Wordpress.com or yourblog.blogspot.com. But, it would be of advantageous to know the differences before starting off on the free accounts which have dealt with above. So you won’t make the mistake I made years ago. WordPress has two forms, wordpress.com and wordpress.org[self-hosted WordPress]. These two also have some distinctions. There are quite some differences between the two which are discussed more in my eBook. Some people and I made the mistake of going for the free plan. And later we get frustrated because of so many limitations. Which mainly is unable to monetize and unable to add some features. To simply put, wordpress.com is like renting a house…while .org is like owning it. You can add whatever you like to your wordpress.org and you will have to take care of your security and updates yourself. Get a host and custom domain for your blog. If you would go ahead with wordpress.org you would need to buy a host and a domain. WordPress.org is self hosted and the hosting service and domain are what you will pay for. I use and recommend namecheap for host and domain. The payment for host and domain are annually, which will be renewed every year. Web hosting company provides you with disk space which serves as storage for your blog/website. You can get your domain as low as 10USD for the first year and your host between 25-50$ or more depending on your pocket. If you’d go for blogspot, all you need is a custom domain and premium template(optional but advisable) and you can hire someone who knows how to edit template. Design your blog in the right way. After you might have gotten your custom domain and/or hosting plan, the next thing to do is to design your blog to your taste and make it easy for your visitors to navigate. You can hire someone to design it for you or download my beginners guide to starting blog on WordPress or Blogspot. It contains the step-by-step approach on blog creation and monetization. Having done all these, get on with writing and publishing your articles. 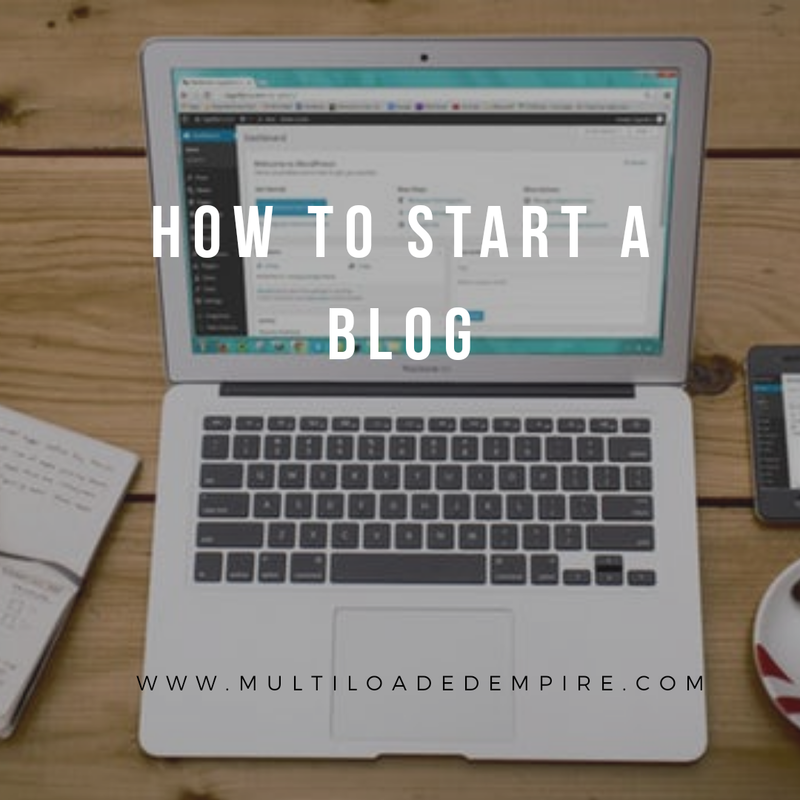 You have just gone through the basics of starting a blog. What you need are: Niche, Choose a preferred CMS, Host, and Custom Domain. If you need more help, or want a private blog tutor, use the contact page or chat me up on WhatsApp to hire me. Do these article answer your question, drop a comment and share with loved ones. you can also check our blog. You can also check this article. Nice article you got there buddy!